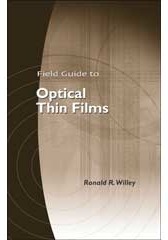 The principles of optical thin films are reviewed and applications shown of various useful graphical tools (or methods) for optical coating design: the reflectance diagram, admittance diagram, and triangle Diagram. It is shown graphically how unavailable indices can be approximated by two available indices of higher and lower values than the one to be approximated. The basis of ideal antireflection coating design is shown empirically. The practical approximation of these inhomogeneous index profiles is demonstrated. Much of the discussions center on AR coatings, but most other coating types are seen in the perspective of the same graphics and underlying principles. Reflection control is the basis of essentially all dielectric optical coatings; and transmittance, optical density, etc., are byproducts of reflection (and absorption). The best insight is gained by the study of reflectance. It is also shown that AR coatings, high reflectors, and edge filters are all in the same family of designs. The graphical tools described are found to be useful as an aid to understanding and insight with respect to how optical coatings function and how they might be designed to meet given requirements.